Debit cards work like cash, take the place of a check and are used millions of times each day. They make spending or withdrawing money fast and simple: Just swipe your card, enter your PIN and be done with it. The downside of using a debit card – at least compared to writing a check or paying cash – is that it's possible to be charged twice for the same transaction. Fortunately, this type of mistake is usually easily resolved. If your debit card gets charged twice, contact the merchant responsible for the double charge and explain the situation. You can also contact your bank to dispute the charge if you are unable to resolve the issue with the merchant. When you’re shopping with a debit card, it can be easy to lose track of transactions. Unlike a credit card, the money from your debit card is tied directly to your checking account. So, it’s important to record your debits in a paper ledger or online checking account program. 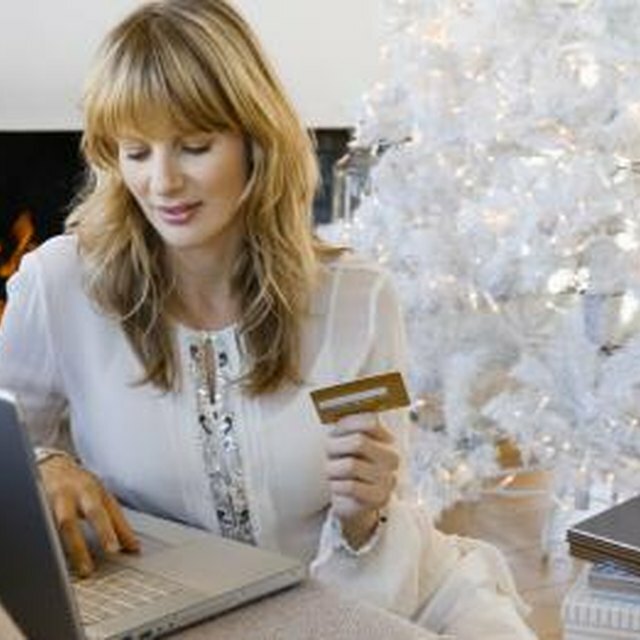 Many people use online banking to check their account status. If you’re reviewing your statement and see that your debit card was charged twice for the same amount and on the same date, you know something is amiss. If you can find your original receipt, hold onto to it as way to document the transaction. Next, call the merchant and ask to speak to the manager. If the transaction was made online, call the customer service number and ask to speak to a supervisor. When talking with a store representative, explain what happened and ask for the duplicate charge to be reversed. Thanks to today’s technology, many businesses are can pull up sales records on-site and will be able to quickly see the double charge on their end. In most cases, the transaction should be reversed within three to five business days. What Do You Do if a Restaurant Charges You Too Much? How Do I Track a Charge on a Credit Card by Description? Continue monitoring your account. If, after the proper amount of time has gone by, the refund from the duplicate charge is still not showing up in your account, contact a customer service rep at your financial institution. She can investigate the error from their end. She might ask you to visit a branch and complete a disputed charge form. Most duplicate debit card charges are quickly corrected with no harm done. Occasionally, however, having a charge deducted from your account twice can cause your account to go into the red, triggering overdraft fees. Should this happen, explain the situation to the bank and ask it to refund the fees. If it won’t, ask the merchant to cover the fees since the overdraft stemmed from its mistake. PayPal: Why Has My Credit or Debit Card Been Charged Twice? Based in the Pacific Northwest, Todd Duvall has been a writer since 1983. He has written for various local, regional and national clients, winning numerous awards. Duvall received a Bachelor of Arts in communication from Washington State University's Edward R. Murrow College of Communication.